Betsson – The Festive Daily Pick | Week 2! 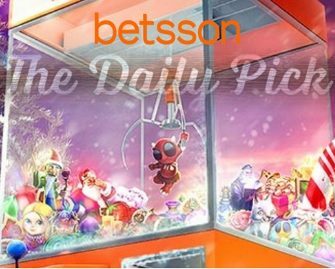 Head into another week the special Festive Daily Picks at Betsson. Eligible players can look forward to even more bang for their buck with additional Free Spins, Bonuses and Wager Rewards throughout the next. The Christmas Campaign will culminate in two players winning an exclusive holiday to Portugal and Japan on Christmas and New Years Eve. Start today with a tournament on Beauty and the Beast where the TOP150 players share €5,000 in bonus prizes and Free Spins. Monday, 11th December 2017: Fairy Tale Tournament – Play on Beauty And The Beast and score the highest coin win in a single spin to race into the TOP150 for bonus prizes or Free Spins, worth a total €5,000, credited by 18:00 CET on Tuesday. In-game leader board is available. Wagering requirement is 25x bonus amount or 25x FS winnings within five days. Tuesday, 12th December 2017: Swirly Free Spins – Deposit minimum €25.00 to instantly receive 100 Free Spins on Finn and the Swirly Spin™. Wagering requirement is 25x FS winnings within one day. Wednesday, 13th December 2017: Legendary Free Spins – Wager minimum €10 on Mighty Arthur to get a guaranteed equal share of 10,000 Free Spins, credited by 18:00 CET on Thursday. Wagering requirement is 25x FS winnings within one day. Thursday, 14th December 2017: Dancing Jackpot – Aim for the Quick Hit Jackpot on Lion Dance to get your win matched with a 100% bonus, up to €500, credited by 18:00 CET on Friday. Wagering requirement is 25x bonus amount within five days. Friday, 15th December 2017: Pink Surprise – Wager €50 on Pink Elephants, then check your Betsson inbox for your Friday surprise reward. Saturday, 16th December 2017: Season’s Free Spins – Wager €25 on any slot to instantly receive 75 Free Spins on Holiday Season. Wagering requirement is 25x FS winnings within one day. 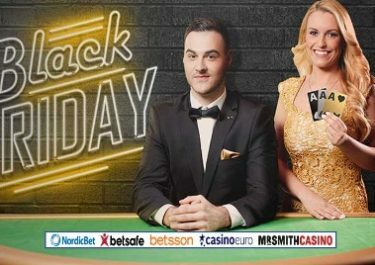 Sunday, 17th December 2017: Fruity Surprise – Wager €25 on Fruit Shop Christmas Edition, then check your Betsson inbox for your Friday surprise reward.